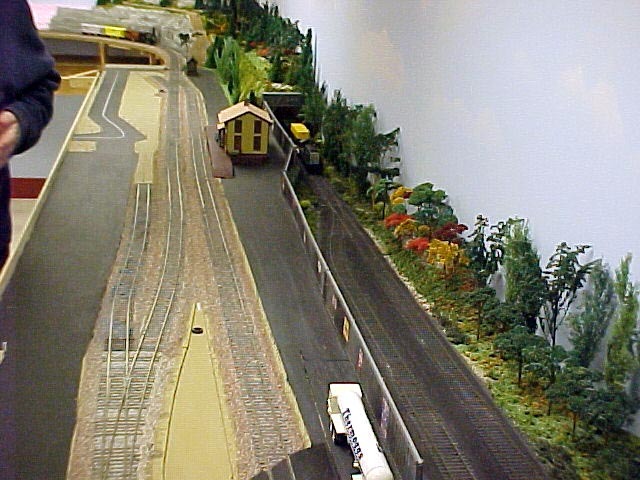 The layout shown below belonged to the late Chuck Porter. 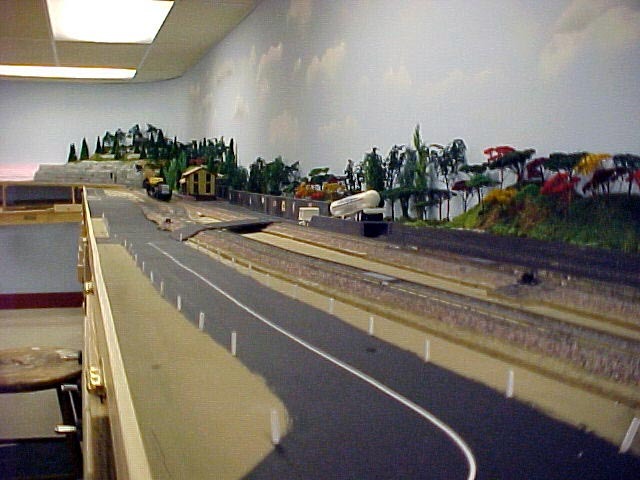 Chuck enjoyed viewing prototypes thought the country as well as model railroading. 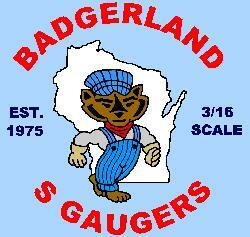 Chuck was one of the original founding members of Badgerland S-Gaugers. 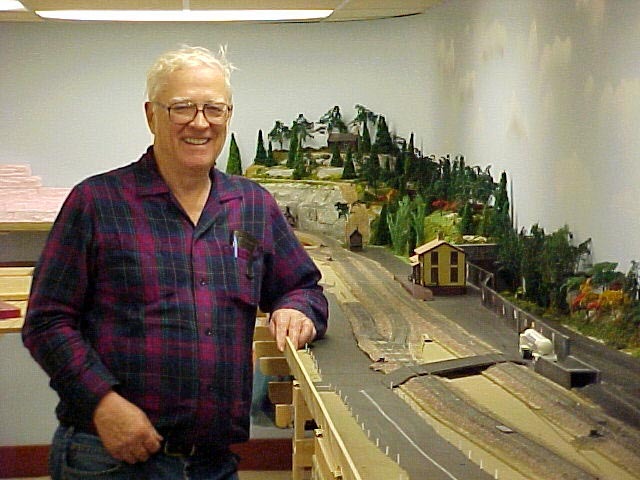 His slides of what railroad related scenery he and his wife Pat experienced as he traveled around the country will be missed by all who attended past Christmas parties. Thanks for the club and the memories Chuck! 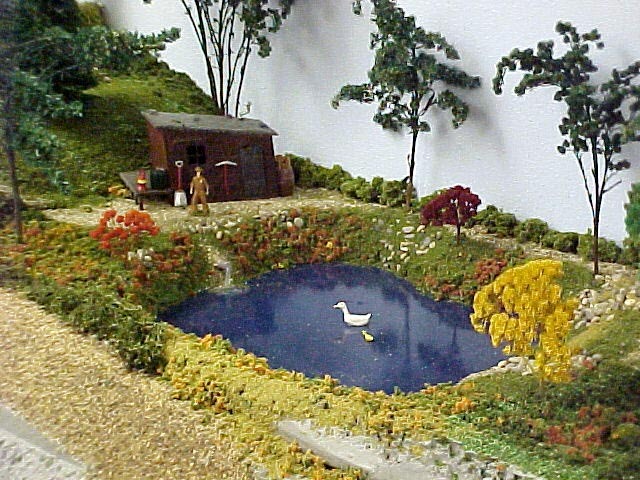 RAIL CODE: Code 125 hand laid with code 100 at the island. 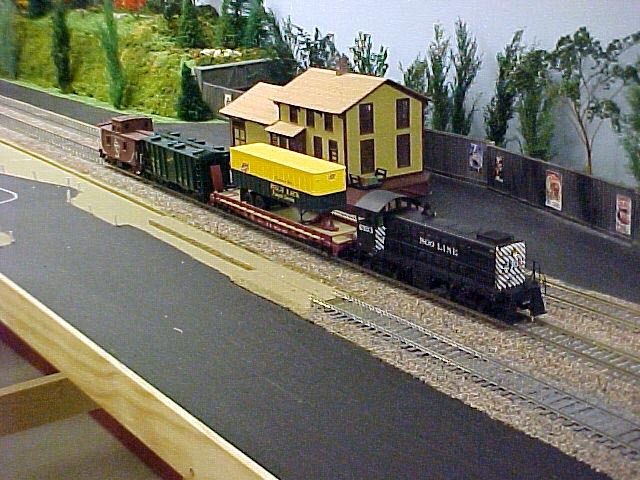 Chucks Soo Line was number four in his achievements of layout construction during his model railroading hobby. 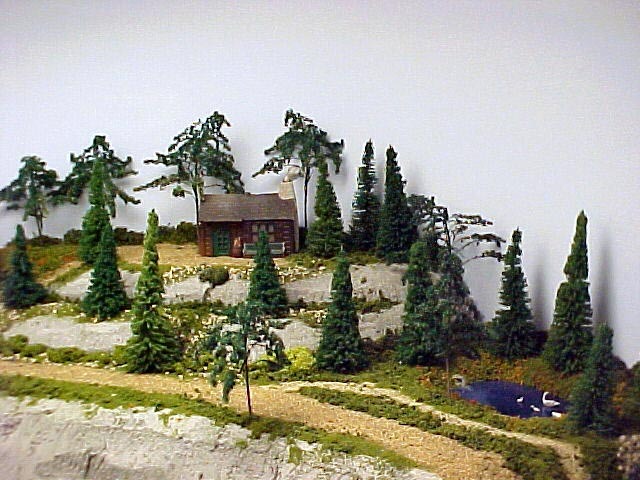 Chuck started with HO in the 70's and when his new house was built he changed over to S-gauge where his current layout was built, dismantled, and rebuilt again. 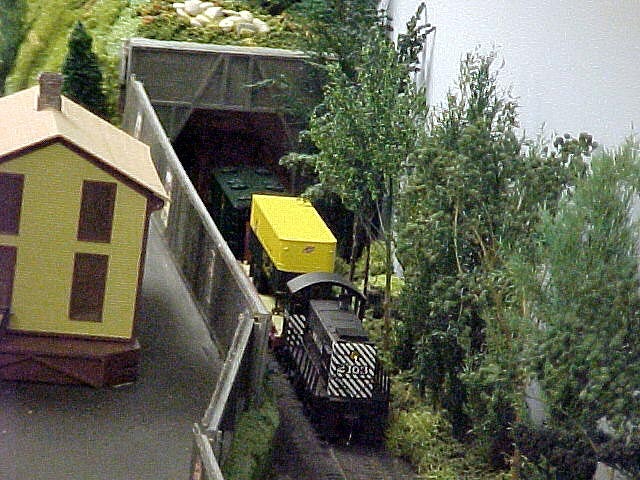 Entry to the layout was through a hinged drop gate. 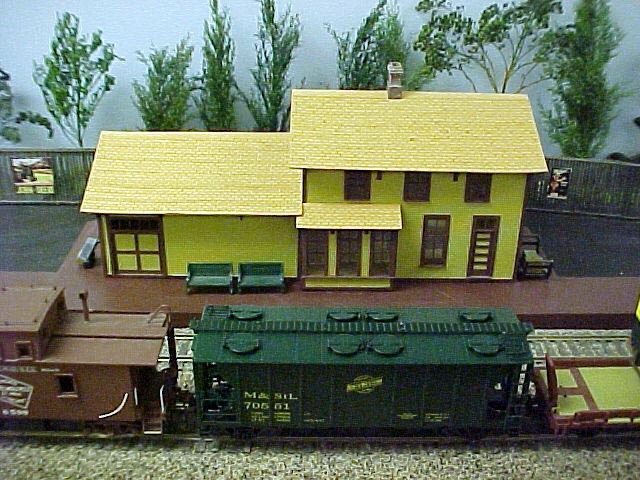 Turnouts are a combination of scratch built, Earl Exchleman, BK, plus others. Better lighting was installed on the latest version of changes. 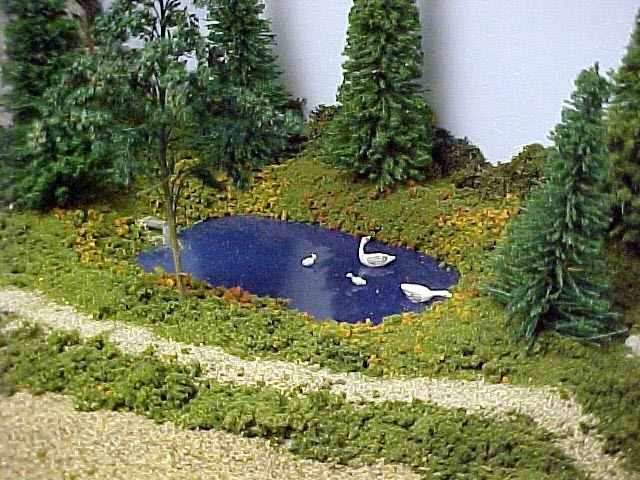 Great layout and it will be missed as we also will miss Chuck.